IS IT TIME TO REPAIR AND RESTORE YOUR TEETH? There are two types of restorative dentistry, one that is used to repair and recondition teeth and surrounding structures after disease or trauma to allow full functionality. And the other is cosmetic dentistry. Here we outline the difference between the two and how they can help you. Whether your teeth have deteriorated because of severe grinding, disease or infection or due to trauma such as an accident or sporting injury, we offer help through our restorative dental services to bring a happy and healthy smile to your face. When you have missing teeth, dental implants can help fill the gap so you have full function of your mouth and teeth again. They are titanium screws that fix to your jawbone to fill the space where your natural teeth used to be. This is implant placement is done surgically by a specially trained dentist or oral surgeon. What happens next? After the titanium fixtures (or ‘screws’) has been integrated into your jaw bone, your ‘restoring dentist’ takes impressions and measurements, and works closely with state-of-the-art dental laboratories to design and fabricate the crowns or false teeth that will be fixed on to the titanium fixtures. Instead of having cavities filled with amalgam or composite resin material, some teeth requiring the combination of strength as well as high aesthetics may require a restoration that is custom made in the laboratory. Firstly, the tooth is shaped and prepared, and impressions are taken to transfer the detail to the laboratory. A few weeks later, the final porcelain restoration is fitted and cemented to the tooth in the place where a filling would have occupied. These are generally composite resin fillings, which are bonded to tooth dentine and enamel. With advances in dental technology improving every day, we have a range of shades and colours available to closely match the restorations to the natural tooth colour. There are, however, certain situations and oral environments, including for people who cannot keep their mouth open for extended periods of time, for teeth that are directly near saliva ducts, or cavities that extend below the gum line when composite resin fillings may not be the best material to use. There are many reasons why you may be missing some teeth and need dentures, including illness, trauma, gum disease and tooth decay. Full dentures refer to dentures that replace all the teeth in the dental arch (that is, all upper teeth or all lower teeth). Partial dentures refer to dentures that replace the missing teeth, but may utilise any remaining natural dentition to keeping the denture firm and stable. These can be made fully in acrylic or with a thin cobalt chrome metal framework. 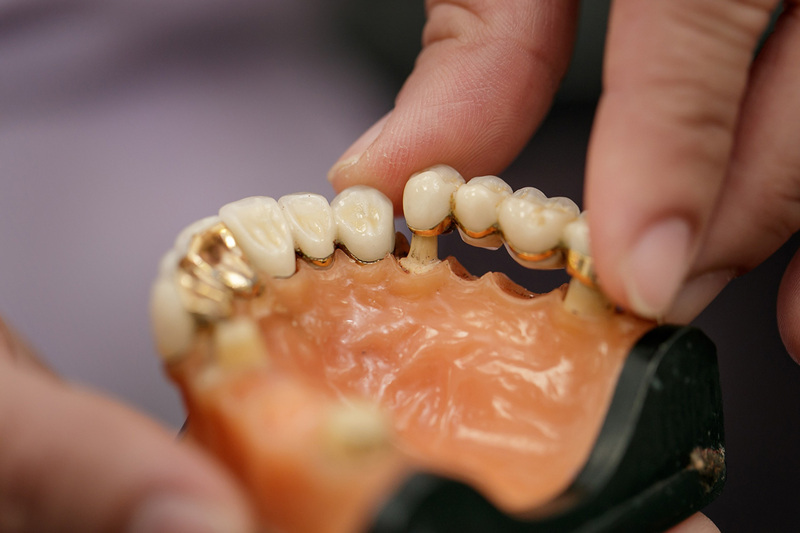 Bridges are a similar concept to crowns and work for people who have several missing teeth and do not want to use removable dentures or cannot have implants as a method of tooth replacement. A typical conventional bridge involves placing a crown on the teeth next to the space where teeth are missing and connects these together with one or more false teeth that fill the gap in between. Bridges work to restore full functionality to the mouth so you can chew, speak and swallow as normal. What happens? It involves preparation and reshaping the tooth, taking impressions, sending the instructions to the laboratory and fitting the bridge to the prepared teeth with dental cement. Generally, people will refer to these as “porcelain” because that is the part they see. However, material choices include a metal or zirconia framework with porcelain fused to the aesthetically important area. 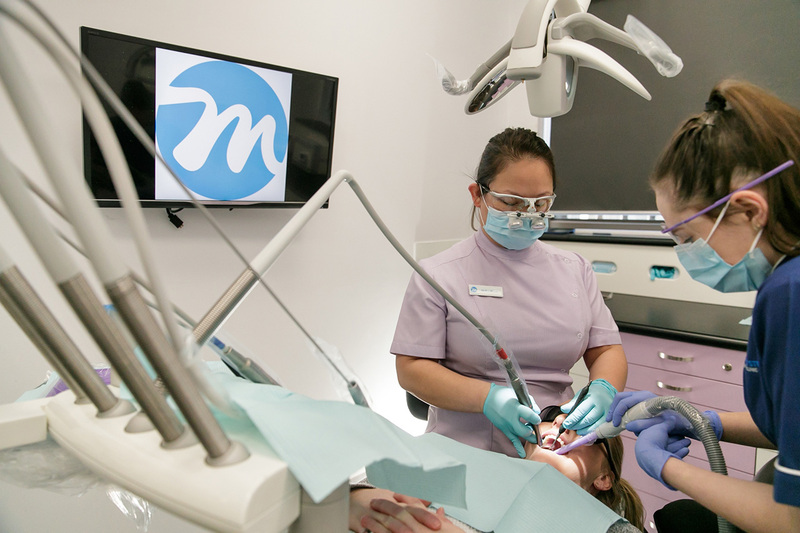 What is cosmetic dentistry and how can it help you? Commonly described as procedures and treatments that help improve your appearance, cosmetic dentistry focuses on the aesthetics. However, it’s also important to note that while cosmetic dentistry may not necessarily improve function of your mouth and teeth, it can help boost self-esteem. The age-old saying “when you look good you feel good” rings true. It’s an array of treatments and procedures that help improve the way your teeth look, including dental implants (see above), teeth whitening and porcelain crowns, bridges and veneers. Cosmetic dentistry even includes injectable facial enhancements and skin rejuvenation for a fresher, more youthful smile. Sometimes referred to as “porcelain caps”, these are used to fully cover the tooth upwards from the gum line to improve the strength, durability and aesthetics of a damaged or heavily restored tooth. Crowns in general, may be ceramic or porcelain, gold alloy, zirconia, or a combination of these. The choice of materials for a crown will vary depending on your needs and that of the tooth. With the teeth that feature most prominently in your smile, full porcelain usually gives the best results and creates the most realistic smiles. The procedure includes preparation for the smile design, reshaping the tooth, taking impressions, shade selection for the best fit and working with the dental laboratory to fabricate custom-made crowns for each individual tooth. When the crowns are ready, these will be fitted to teeth using dental cement. Veneers attach to the front surface of your teeth to make them more aesthetically pleasing. They are usually used to cover any unattractive or defective teeth that are most prominent when you smile. Common reasons for placing veneers include the need to mask over discolouration, surface defects, inappropriate alignment and positioning, and inappropriately proportioned or shaped teeth. A thin layer of porcelain is cemented only to the front facing enamel to give the appearance of perfect enamel to re-create a cosmetically pleasing smile. In general, the amount of tooth reshaping is more conservative than a crown. FAST FACT: More people use blue toothbrushes.